Revd Dr. Riad Aziz Kassis was born in Tripoli, Lebanon. He was raised up in a devout Presbyterian home. He is a citizen of both Lebanon and Syria. Riad worked at the US Embassy and Australian Embassy in Damascus, Syria during college, followed by pastoral ministry in Syria. 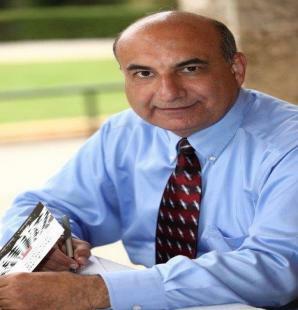 Riad was Dean of the Program for Theological Education by Extension in Syria and Lebanon. Riad worked for the J. L. Schneller Institute in West Beqaa, Lebanon in the capacities of Chaplain and Executive Director. In addition, he was Assistant Professor of Old Testament Studies at Arab Baptist Theological Seminary and Near East School of Theology, Beirut, Lebanon. From 2006 until 2012, Riad was Overseas Council’s International Regional Director for the Middle East, North Africa and Central Europe. He is currently the International Director of the International Council for Evangelical Theological Education (ICETE) and the International Director of Langham Scholars Ministry (formerly John Stott Ministries). Riad obtained his Bachelor of Arts in Economics in Damascus, Syria. He went on to obtain his Master of Divinity from Alliance Biblical Seminary, Manila, Philippines and Master of Theology from Regent College, Canada. Riad received his Doctor of Philosophy in Old Testament as a Langham scholar from The University of Nottingham, UK and his Master of Nonprofit Management from Regis University in Denver, Colorado. Riad has written numerous articles on biblical studies and has several publications in English and Arabic to his credit. He has written in English The Book of Proverbs and Arabic Proverbial Works (Leiden: Brill, 1999). Among the books he published in Arabic are Virtuous Woman…Handful of Lentils: Understanding Solomon’s Proverbs and Arabic Proverbs (Beirut: Dar Manhal al-Hayat & Arab Baptist Theological Seminary, 2013). The Art of Good Governance (co-authored with Nabil Costa; Beirut: Dar Manhal al-Hayat, 2011). Why We Do Not Read The Book That Christ Read? Towards A Better Understanding Of The Old Testament (Beirut: Clarion, 2008/Cairo: PTW, 2010), and Have you known your spiritual gifts? A practical study on the gifts of the Holy Spirit (Beirut: Dar Manhal al-Hayat & Arab Baptist Theological Seminary, 2009). He is currently involved in writing commentaries on the books Song of Songs and Deuteronomy for the forthcoming Arabic Bible Commentary. He is chairperson of the Board of LIVF (IFES, Lebanon), the international IFES board and is involved in the work of several NGOs. He has spoken at various conferences in the Middle East and internationally on issues related to theological education, leadership, organizational development, and contextualized understanding of the Old Testament.